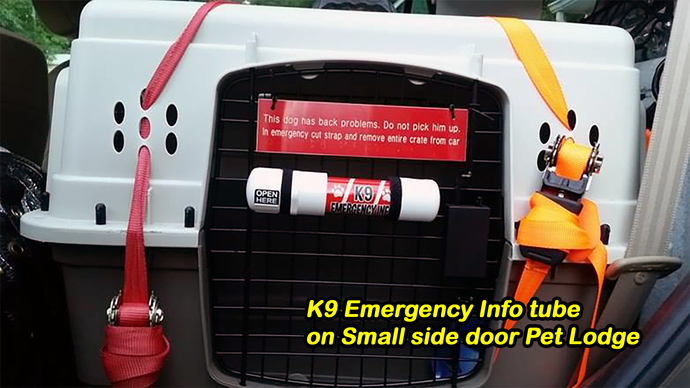 Similar to our other emergency info tubes, these 7.5-inch K9 EMERGENCY INFO tubes attach to dog transport crates, or other locations in your vehicle, to provide emergency personnel with critical information about your beloved dog in the event of an accident or other incident. 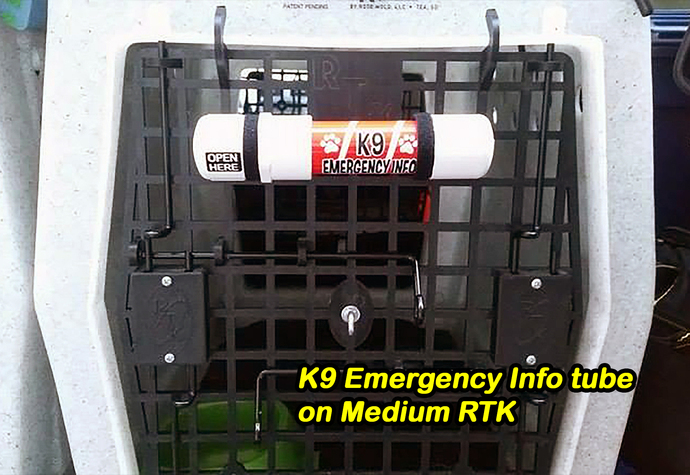 Our K9 EMERGENCY INFO tubes are constructed of 1-inch PVC pipe and fittings and labeled with exterior grade vinyl and black lettering, these tubes are tough and should not degrade with time or heat. All materials are new and washed, however they may contain slight imperfections and manufacturing markings commonly found on PVC pipe and fittings. Two velcro straps are provided to securely attach the tube to your crate or other object. Access the tube contents by unscrewing the "Open Here" labeled threaded cap, the other end is glued shut (and the fitting for the threaded cap is glued). Total length is 7.5-inches. Tube contents are easily removed with the provided red clip tab that is easily grasped once the tube cap is removed. 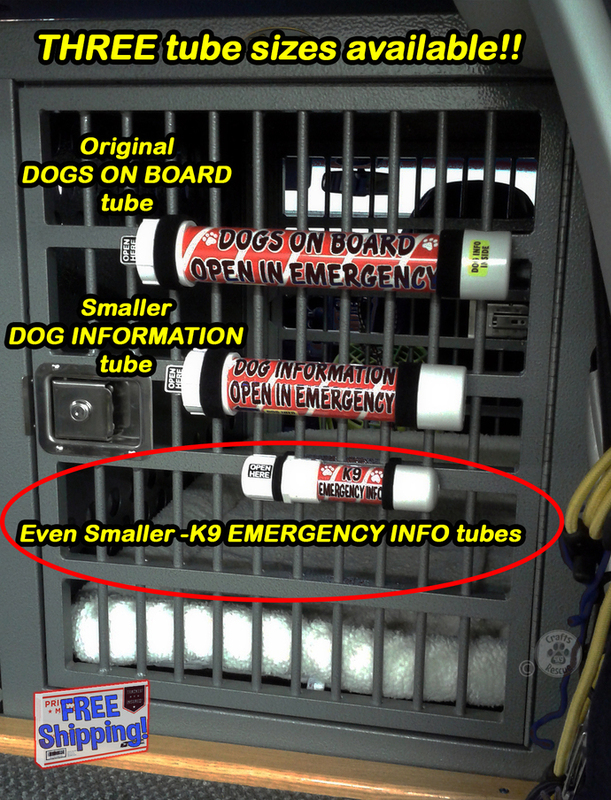 NOTE - this listing is for either one (1) 7.5-inch K9 EMERGENCY INFO tube with Black lettering, or save and select the 3-pack!